I recently saw the excellent film Dunkirk yet was saddened when I learned the filmmakers got everything right except for the true hero of the story. It wasn’t necessarily the selfless citizens who risked lives in their personal boats to bring back the hundreds of thousands of troops stranded on the beach as the Germans advanced; it wasn’t even the brilliance of the commanders who strategized the rescue; it was something, someone, bigger than all that. 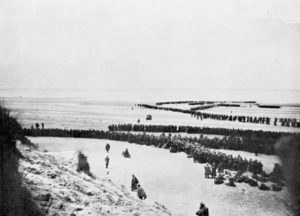 According to “Anglican Ink” author, John Willans: When Britain was close to defeat during the 2nd World War, and the entire British Army was trapped at Dunkirk, in desperation King George the 6th called for a National Day of Prayer to be held on 26th May 1940. In a national broadcast he instructed the people of the UK to turn back to God in a spirit of repentance and plead for Divine help. Millions of people across the British Isles flocked into churches praying for deliverance. Firstly, a violent storm arose over the Dunkirk region grounding the Luftwaffe (German Air Force) which had been killing thousands on the beaches. And then secondly, a great calm descended on the Channel, the like of which hadn’t been seen for a generation, which allowed hundreds of tiny boats to sail across and rescue 335,000 soldiers, rather than the estimated 20-30,000. 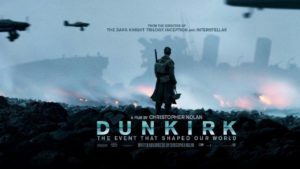 From then on people referred to what happened as “The Miracle of Dunkirk.” Sunday, June 9, was officially appointed as a Day of National Thanksgiving. 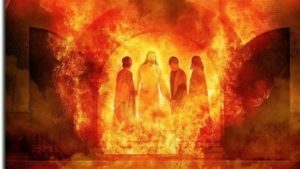 But, in a day when people knew the Bible, they knew its source and knew exactly what it meant: “If that is the case, our God whom we serve is able to deliver us from the burning fiery furnace, and He will deliver us from your hand, O king. BUT IF NOT, let it be known to you, O king, that we do not serve your gods, nor will we worship the gold image which you have set up.” (Dan. 3:17-18). No, it wasn’t because he had a bias against a miracle-making Deity. It was, perhaps, simply the sign of our post-Christian times: We are too busy, too pre-occupied with other things to see the wonder of God’s working miracles every day in this world.